DC batteries are the most common source which stores electricity. In fact, they are the only reliable source for storing electrical charge. 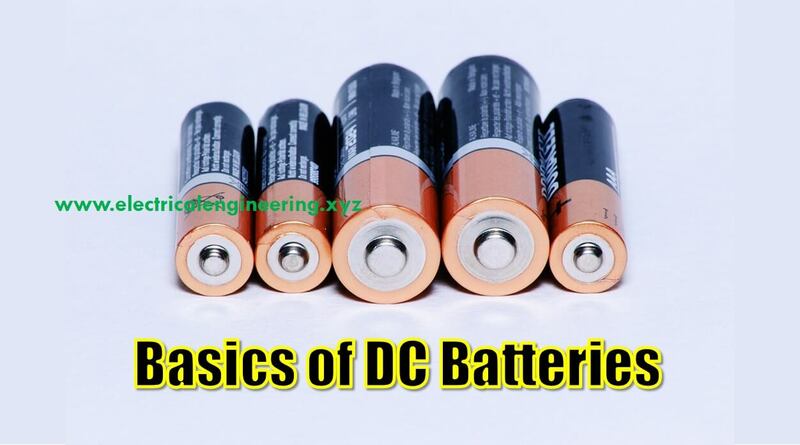 Today Electrical Engineering XYZ shares basic concepts about DC Battery which you should know. A cell is a single electrical source. While many (two or more) cells can be combined to form a battery, the terms battery and cells are interchangeably used to identify the same component. (which might technically be wrong, but, in general, is correct). The battery in your laptop is a rechargeable battery, while that one in your wall clock can’t be charged once it has completed its life cycle. All rechargeable batteries are known as secondary, while the other ones are classified as primary. Your mobile phone and laptop use Li-ion battery. 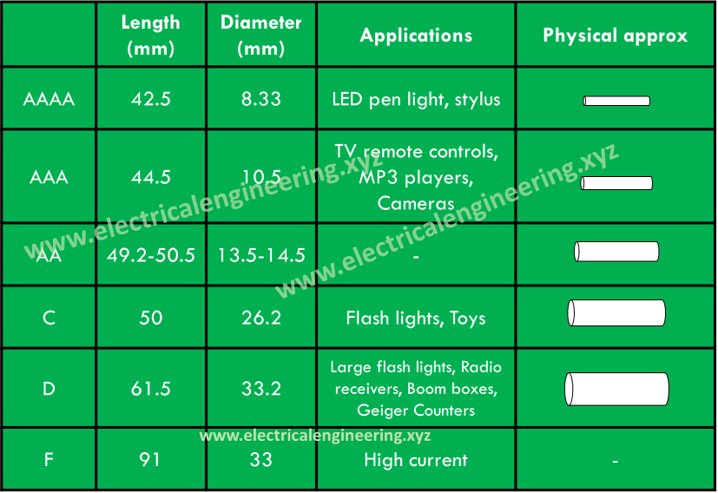 While laptop manufacturers usually label rated voltage, current, and power over the cases, the mobile phones mention mAh as well. The terms mAh represents Milli-amps hour and it provides information on the Mili amps per hour. For example, a cell rated at 3000 mAh can provide 3000 mA for an hour, or 1500 mA for 2 hours, or 1000 mA for 3 hours. Multiple cells and batteries can be joined in the series configuration to achieve an output voltage that is equal to the sum of individual components. Similarly, the parallel connection can be used to increase the output current, always remember that voltage sources in parallel should have the same voltage rating. So, that was all about the basics. While this article provides basic knowledge about types, sizes, and configurations, it can be thought of as an introductory note. For deep learning, you should learn the theory, concepts, and other books on this topic. Check out free books on various Electrical Engineering topics here.